The Sparkling 1-disc stopper was created as an alternative to the classic 2 disc sparkling cork. The stopper itself consists of a molded body with one thin disk added. It is suitable for both sparkling wines processed with “charmant” and “classic” methods, combining the tested and reliable characteristics of the Sparkling 2 disc with a lower economic impact. 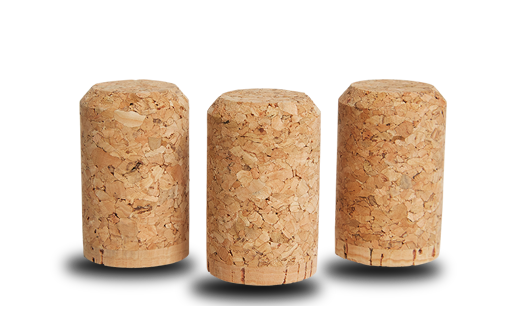 Controlled in the same way our traditional sparkling 2-disc cork is, the undesirable compounds are analyzed at least 9 times along the production chain.